Graham Marks’s early fascination with geology is evident in his geomorphic forms that take the shape of mysterious pods, eggs and geodes, all appearing to have been cracked open, as in Untitled Vessel. His work displays his interest in the interplay between inside and outside space, sometimes including just a crack to provide access to the inner sections of the forms. Marks often used the sandblasting process to layer his surfaces with further geological references. 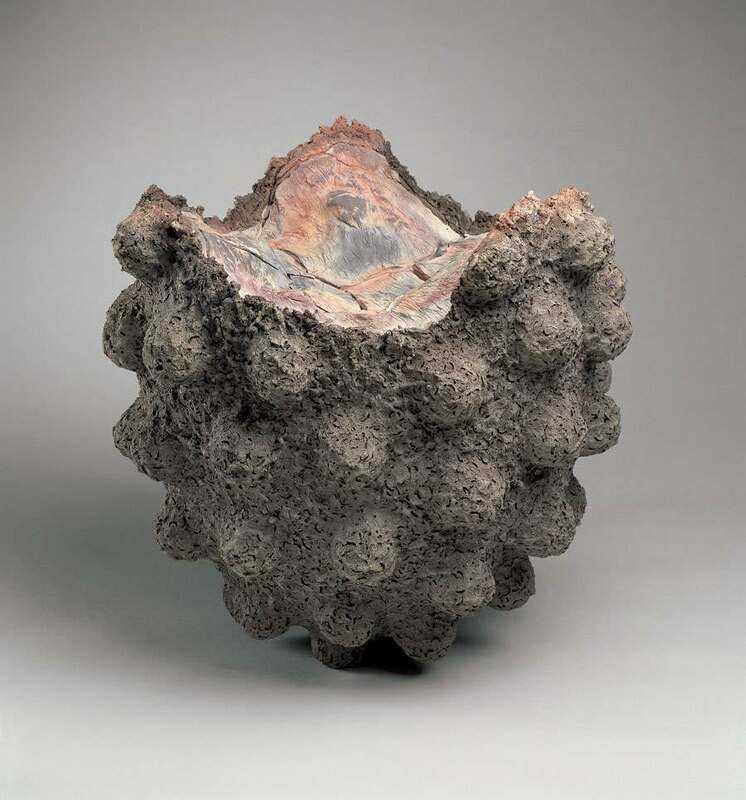 As in Untitled Vessel, Marks’s increasing involvement with environmental issues was reflected in his work of the early nineties- the surfaces are darker, more agitated, often sooty, and with natural fissures in the tops. The frequent inclusion of scrap metal in the slip suggests shrapnel and other pollutants. Marks wanted his art “to reflect the brutality of what mankind has done to nature and nature’s response” (Detroit Free Press, December 14, 1990). His growing commitment to natural processes and systems led him to the field of acupuncture when he left his position at Cranbrook.